If you keep more than just a few chickens, especially if they are regular layers, you will soon build up a surplus of eggs. Even three hens can over produce for a family of four’s requirements although at this level you can almost certainly dispose of any excess by giving them to friends, neighbours or colleagues. If you have more or have brought hens specifically with the intention of selling eggs for profit then there are a few rules you must adhere to. Don’t worry though the regulations for selling eggs on a small scale are simple and generally just reflect common sense, it’s only when flocks reach a certain size that they become more stringent. This article explains the basics that will keep you on the right side of the law. Firstly research your local marketing opportunities. There will be many poultry keepers looking to do exactly the same as you so it is best to check out the competition in your area. Some markets, for example, only allow a certain amount of stalls selling the same produce so if that quota is already full then this avenue will be closed to you. There may also be local box schemes or other competition that you should be aware of before you make your offering. If market conditions are crowded then perhaps offering a slightly different product could help you stand out from the crowd. 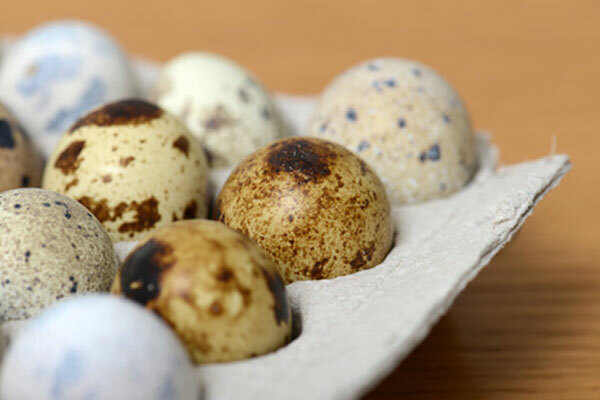 Unusual colours or eggs from poultry such as ducks, geese or quails can all be a unique selling point that will help you gain advantage. Eggs from more unusual or exotic birds may give you a USP in a crowded marketplace Most Pocket Farm readers will be glad to know that a flock of under 50 birds does not have to be registered to sell at the gate, door-to-door or at a farmers’ market. Neither do you have to mark your eggs with a producer code so staying below this threshold certainly keeps restrictions to a minimum. Note: some markets have their own local rules about marking eggs so please check with the administrator prior to sale. If you are selling at a public market then you will need to display your name and address clearly on the stall. You are also required to display a best before date of not more than 28 days from the day of lay and advice on how to store the eggs. Storage advice can be as simple as ‘keep refrigerated after purchase’. Eggs should be collected regularly and nest boxes kept clean to avoid them getting too dirty. 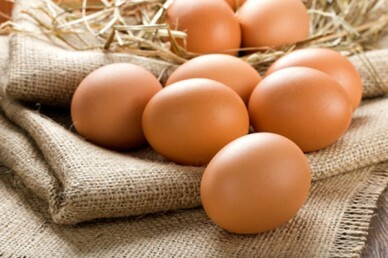 You should not clean them as this removes the natural bloom that helps to seal the eggs and keep them fresh for longer. While customers will expect the occasional scuff of dirt on their fresh eggs any heavily soiled or cracked eggs should be kept for your own use. You should never knowingly sell a cracked egg. You should also keep your eggs in a cool, dry location before sale to prolong freshness. If you keep more than 50 poultry at any time, and this applies to any mix of birds, you are required to register with the Great Britain Poultry Register. They can be contacted on 0800 634 1112 and you will be sent a registration form. You can also download the form here. As mentioned earlier, keepers with less than 50 birds are not required to register but are encouraged to do so in able to receive up to date information on the spread of disease. If you have more than 50 birds and are selling at a public market (or to a packing centre which is unlikely at this scale) you must also register with DEFRA’s Egg Marketing Inspectorate (EMI); however, you will not be required to stamp or grade your eggs for this purpose. 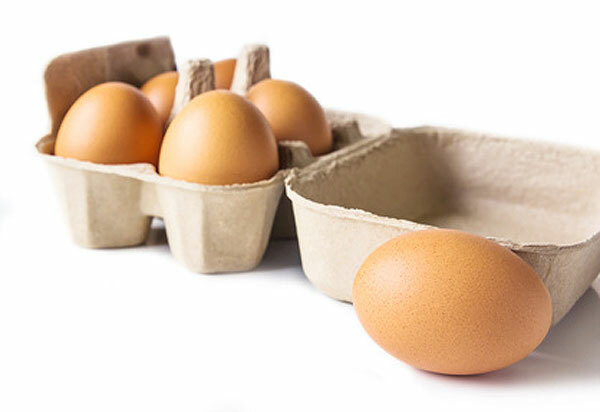 If you wish to sell to shops or the catering trade, you must register with the EMI and must be approved as a packing centre to be able to grade your eggs Class A which is the requirement for this purpose. You are also required to stamp your eggs with a code specifying the method of production, country of origin and your establishment code. Again, it is unlikely that many Pocket Farm readers will be in this bracket, but if you are looking to move up to large scale production then it’s worth knowing. 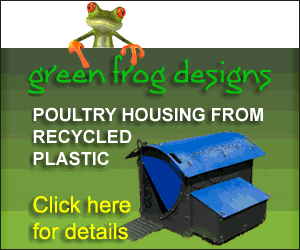 It is acceptable to re-use clean egg boxes from supermarkets and you can save a few pence by doing this but plain boxes are available cheaply from many suppliers and are easily sourced on the internet. These also have the advantage that they can be customised with your own message or contact details for increased brand awareness if required. TIP: Buying in bulk hugely reduces the unit cost of egg boxes. It’s great fun selling your own produce and especially rewarding if you start to build up repeat business via word-of-mouth recommendations so I would certainly encourage you to explore this extra potential revenue stream and give it a go. The rules for selling meat and other perishable products are much more complex and these will be covered in later articles.